I debuted one of many recent candle creations today! 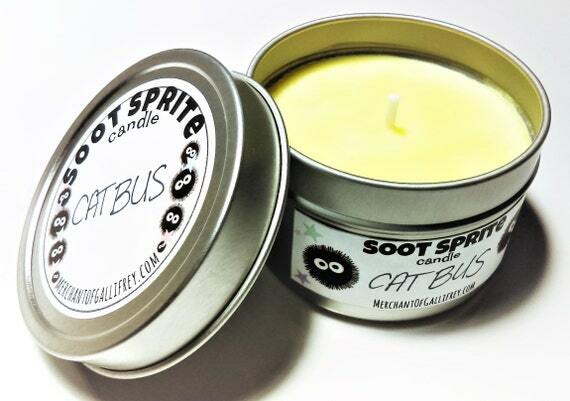 Introducing “Cat Bus”, the perfect kitchen candle. Inspired by the Cat Bus from My Neighbor Totoro, this yellow cutie smells of grapefruit, tomato leaf, cantaloupe, cucumber, and tuberose. More Soot Sprite (Studio Ghibli inspired) candles coming soon.